Welcome to Pioneer Animal Hospital! We are a full service companion animal veterinary hospital located in beautiful Leavenworth, KS. Pioneer Animal Hospital is fully accredited by the American Animal Hospital Association – a distinction held by less than 10% of veterinary hospitals across the United States. Thank you for stopping by! We look forward to seeing you in person very soon! 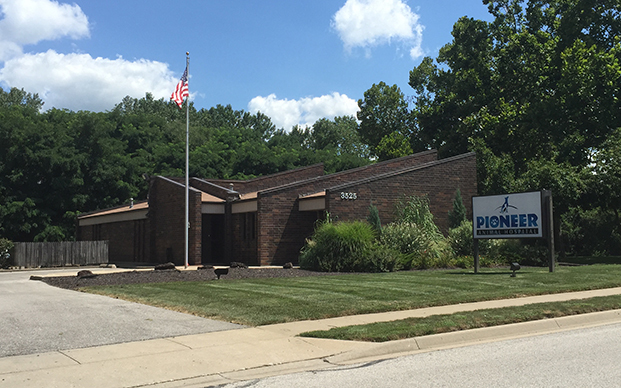 Pioneer Animal Hospital is dedicated to the highest quality medicine and the greatest level of compassion for our clients and patients. We recognize that all creatures under our care and supervision deserve our utmost respect and attention. We strive to acknowledge and strengthen the human-animal bond and to do our part in actively promoting animal safety and welfare. We continually strive for excellence through education and communication.